Your ear has three bones that aid in hearing, the malleus, incus and the stapes. The stapes bone can sometimes become damaged by otosclerosis, which is caused by the formation of spongy bone, which hardens around the part of the stapes called the footplate. This causes the footplate to become fixed so it cannot vibrate and transmit sound waves, which can cause hearing loss. You may need surgery to repair or replace the footplate of the stapes. You will be taken to the operating room and placed under general anesthesia. The stapes will be reached by going through your ear canal. The crura, the part of the stapes that touches the footplate will then be removed. Your surgeon will either make a hole in the footplate or may remove the footplate and replace it with prosthesis. The last step will be to replace the crura with prosthesis and attach it to the incus bone so that sound waves can be transmitted to the inner ear. This surgery will be done through an ambulatory surgery center so you should be able to go home on the day of surgery. You will need to call your doctor if you begin running a fever of 101° F or higher that is not controlled with Tylenol. You should have little or no bleeding. You should have little or no pain. You should have little or no dizziness. You will need to call your doctor if you have pain that is not responding to pain medicine or if you are experiencing ongoing dizziness, nausea or vomiting. You will need to keep your ear dry when bathing. You can do this by putting cotton in your ear with a small amount of petroleum jelly on it. Sneeze or cough with your mouth open to protect your ears. Your surgeon will tell you all the risks when you come in to discuss surgery. 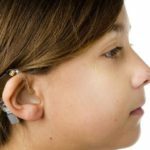 These can include infection, failure of the prosthesis, further hearing loss, ringing in the ears, or dizziness. Facial nerve damage or numbness of the outer ear can also occur.